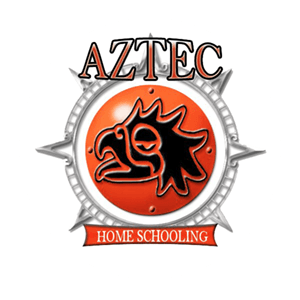 Aztec Home Schooling is an organization developed to help adults complete their high school education in a home setting. AHS facilitates adult home schooling by providing all forms, materials and curriculum to conduct a home school program by the law of your state. AHS keeps record of your diploma and of all graduates coursework for colleges, jobs or military service. Upon written request, AHS will send out official transcripts to the requesting institution. AHS's goals are to help families in need by making their home school experience easy and enjoyable. Aztec Home Schooling (AHS) began its initial operation in 1980 under the name of Aztec Consultants Educators (ACE) in Santa Fe, New Mexico. ACE as it was then called, was to design home school programs for students wishing to continue their education in a home school setting. By developing programs and issuing computers to students it was one of the first times that computers were specifically designed for use by students. In 1992, ACE was restructured and renamed Aztec Home Schooling (AHS). AHS began developing tests by taking the best of what was available specifically for home based programs. Throughout the ensuing years, Aztec Home Schooling was gaining valuable experience in designing high school home school programs. In 2006, AHS took their case to court to ensure its program was acceptable and that AHS could legally continue to operate helping adults complete their high school educations. AHS won that right and began expanding its knowledge and impact in the home school community. In 2009, AHS was reorganized and has now issued over 10,000 Diploma's becoming one of the oldest companies helping home schooled students. AHS now operates out of Albuquerque, NM and continues to develop new programs and extend help to adults wishing to complete their high school education throughout the entire United States.